This vegan banana bread recipe is eggless and dairy free. I used mostly organic products, with the exception to the baking soda and powder. You’ll enjoy this banana bread even more because it’s filled with healthy ingredients, and it’s also delicious. Preheat oven to 350 degrees F. Grease and flour a loaf pan. I used coconut oil for greasing. 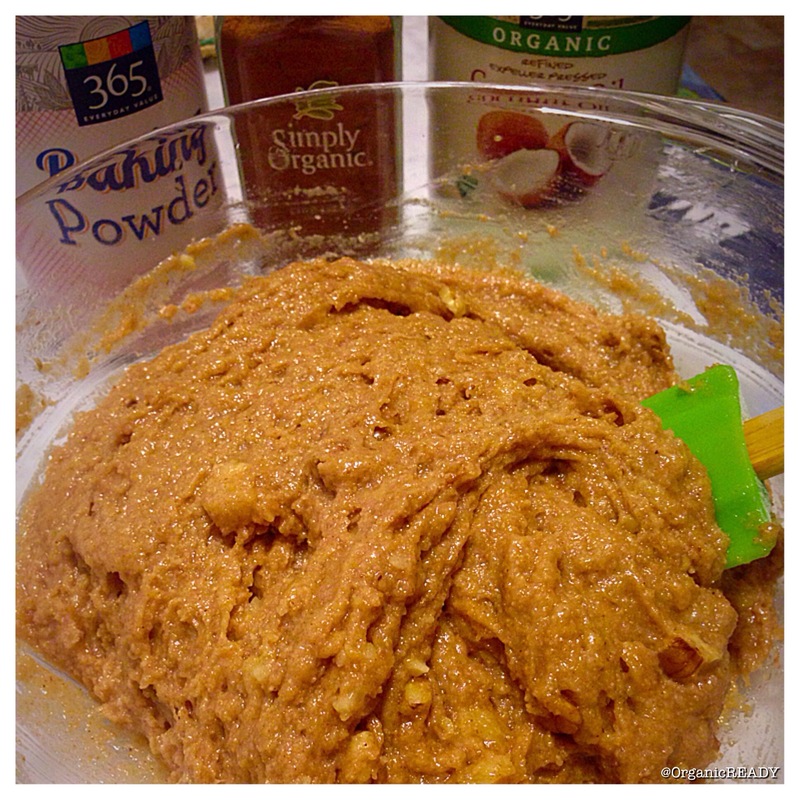 In a large mixing bowl sift together the flour, cinnamon, nutmeg, baking soda, and baking powder. Then, in a separate bowl smash the bananas until the big lumps are out. Mix in the oil, vanilla, applesauce, sugar and salt. Now, gently fold in the dry ingredients into the wet making sure everything is mixed in well. At this point you could add any of the optional ingredients. In this recipe I added wheat germ, walnuts and raisins. Pour finished batter in the prepared loaf pan. Bake for 50 minutes to 1 hour. 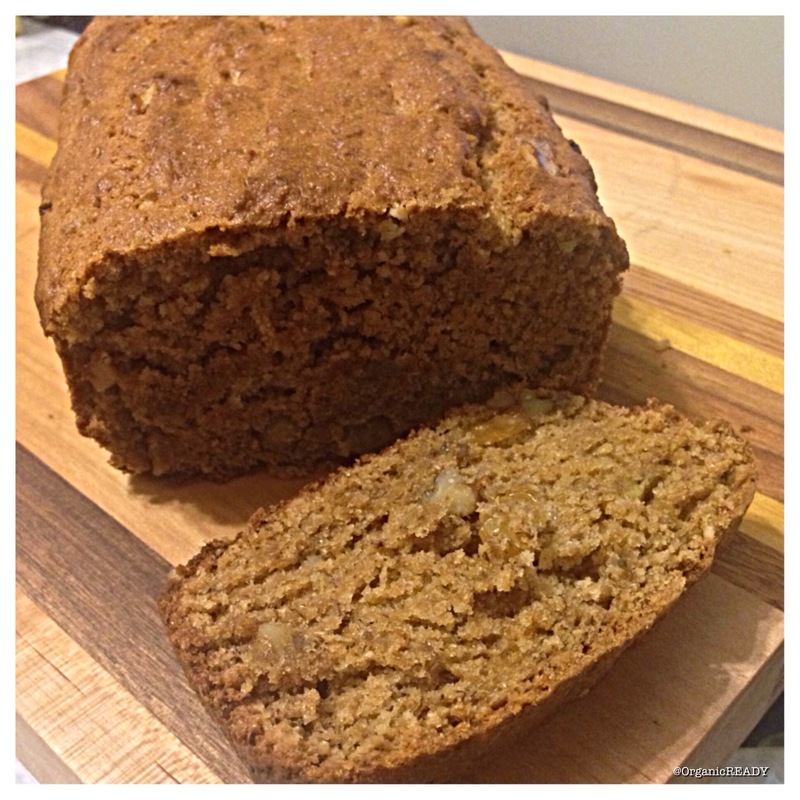 Banana bread is done when a toothpick inserted into the center of the loaf comes out clean. Cool before slicing.